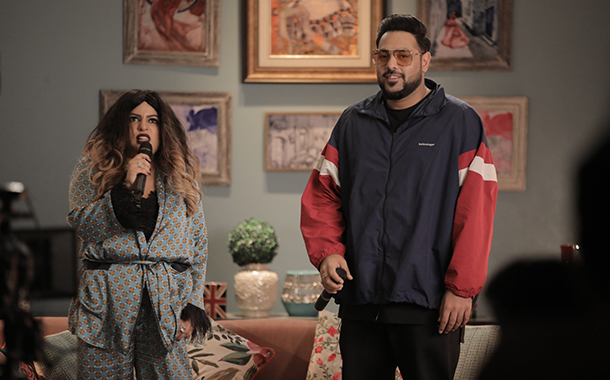 Mumbai: A confident, innately kind, privileged, misinformed, graceful, unapologetic, well dressed, glamorous Shalishka alias Mallika Dua welcomes Rapper Badshah as her first guest in the inaugural edition of Midnight Misadventures with Mallika Dua which premieres Monday, September 17, at 20:00 hrs on TLC. In the show, Mallika as Shalishka gets into interesting, relaxing and deeply emotional 2 AM conversations with celebrities from different walks of life. In each episode of Midnight Misadventures with Mallika Dua, Shalishka (Mallika) and one of her close friends will began their adventure armed with whatever they muster from the fridge. She’s a kind of ‘food heiress’ as her culinary arts has been running in her family for generations. Shalishka will develop new recipes; mixing never before mixed ingredients followed by cooking; gossip, healthy conversations and a good face stuffing session over comfort food.